I finally got the chance to tick Jay Mountain off my must-hike list on Monday. The 3,600’ peak has long been a favorite among experienced hikers for the panoramic views along its open summit ridge, but it remained relatively unknown because it lacked a marked and maintained trail. Until two years ago. That’s when the DEC opened a new 2.5 mile trail to the ridge. The new trail is certainly attracting more hikers, but Jay Mountain still remains a relatively uncrowded alternative to the more popular hikes elsewhere in the High Peaks. With family visiting for the weekend, we took advantage of two Lake George Land Conservancy preserves so that we could stay close to home base in Bolton Landing. Nearby Thomas Mountain is my go-to hike for times when I've got just an hour or two to squeeze in a hike or trail run, and I headed up late in the day on Saturday with my brother to catch the sunset. Years ago, when I was young and single, I was all about the High Peaks. When I finished my first round of the 46, I re-hiked many of my favorites, often via slides or bushwhack routes. If a hike was less than 10 miles and 2,000 vertical feet, I didn’t have much interest. I still love the High Peaks (and in fact am currently suffering from High Peaks Deficiency Syndrome), but hiking with my family in recent years has allowed me to discover some of the gems I missed. Like Mount Van Hoevenberg. 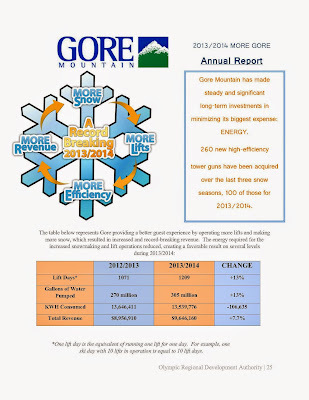 Gore is introducing FOUR NEW GLADES! Abenaki Glades, which connect Barkeater Glades on Burnt Ridge Mountain to the Pipeline Traverse; The Narrows, which offer skiers a lively alternative to the Headwaters trail; Birch Bark Alley, which links the Lower Cloud Traverse to the Woodchuck trail and The High Peaks Chair; and MacIntyre Glades, which is loaded with balsams and connects Cloud to Upper Steilhang. It turns out that 3 out the 4 new glades are locals’ stashes that are being added to the trail map (Abenaki appears to be entirely new). Some people are beach people, some are mountain people. I'm most at home in the mountains, but that doesn't mean that I can't enjoy some quality beach time too. Just put me in a place where there's large chunks of natural landscape and I'm happy. Luckily we've been able to find just that at the Cape Cod National Seashore, where we've spent a week of summer vacation 6 out the last 7 summers. If you’ve spent much time in the Adirondacks, certain places have special meaning. My short list includes Lake George, Mount Marcy, Gore and Whiteface. But ground zero for me is an obscure mountain in the northern Adirondacks named Floodwood. It almost seemed like cheating. Climbing Black Mountain from the east got us to Lake George's highest summit with only half the vertical that an "honest" climb from the lake shore entails. But when you're hiking with kids, there's no such thing as points for style - a hike's a hike, a summit's a summit. Saturday morning the kids and I had a window of a couple hours to fit in a hike. Hackensack Mountain in Warrensburg fit the bill perfectly. Even though the summit is lower than many High Peaks trailheads (just 1,357'), Hackensack's got a lot to offer: an interesting trail network, easy access, and a great view from the summit. Some readers know that while I'm a skier in "real" life, I'm an accountant in my "other" life. I guess that makes me something of a numbers nerd, and explains why the page below, from ORDA's recently released 2013-14 annual report, caught my eye. *One lift day is the equivalent of running one lift for one day. For example,one ski day with 10 lifts in operation is equal to 10 lift days. Vanderwhacker Mountain feels remote before you even get out of the car. Located midway between Minerva and Newcomb along Route 28N, the trailhead lies at the end of a single lane dirt road that penetrates three miles into the Vanderwhacker Wild Forest. From the trailhead, it’s less than 3 miles to Vanderwhacker’s 3,385’ summit. The short distance served us well on Saturday, since we had a crack-of-noon start (2pm actually). I had spent the morning trying to convince family members to go hiking, but in the end it was just Beth and me. Our kids elected to stay behind in Bolton Landing with cousins, grandparents, aunts and uncles for an afternoon of waterskiing and lake activity. A good rule of thumb is to never “force” kids to hike (or ski), and I can hardly blame them for choosing lake fun over hiking. OK Slip Falls has been at the top of my hiking to-do list ever since it opened up for public access late last year. 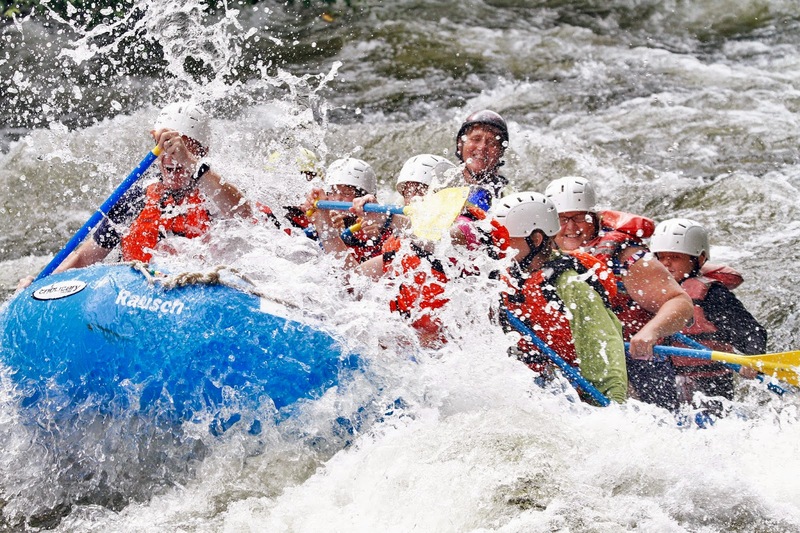 This spring, when I found out that Square Eddy Expeditions would be offering guided hike in – raft out trips, I dropped some not-so-subtle Fathers’ Day gift hints. Lucky for me the hints worked, and we coordinated a date for Beth, Daniel and me to do the trip (Sylvie’s too young for the rafting part of the trip). Now, I’m not the kind of guy who hires a guide at the drop of a hat. I’ve hiked, skied, climbed and paddled all over the Adirondacks for the past 30+ years. I don't need someone to show me the way around the woods. But this is the kind of trip you can’t pull off on your own unless you’ve got a river raft, a way to get your raft halfway down the Hudson Gorge to OK Slip Brook, and the experience to safely paddle the remaining 6 miles through class 3 and 4 rapids to North River (my whitewater skills are zero). On top of that, I’ve known Square Eddy owners Lori Phoebe Benton and Linc Marsac for years, so being able to do the trip with good friends as our guides sealed the deal. Well known for its varied trails and spectacular views of Lake George and surrounding peaks, the Tongue Mountain trail system is something of a southern Adirondack hiking mecca. Nearly 20 miles of trails criss-cross the Tongue Mountain range, but the most popular destination of all is Fifth Peak. Don't let Fifth Peak's low summit elevation (just 1,800') fool you. Since Lake George's elevation is less than 400', Fifth Peak sports a vertical relief that's comparable to much taller mountains. In fact, I picked Fifth Peak for our hike on Sunday partly because it falls right in the sweet spot for our family: the six mile round-trip with 1500' of vertical is a good match for our kids' current abilities. 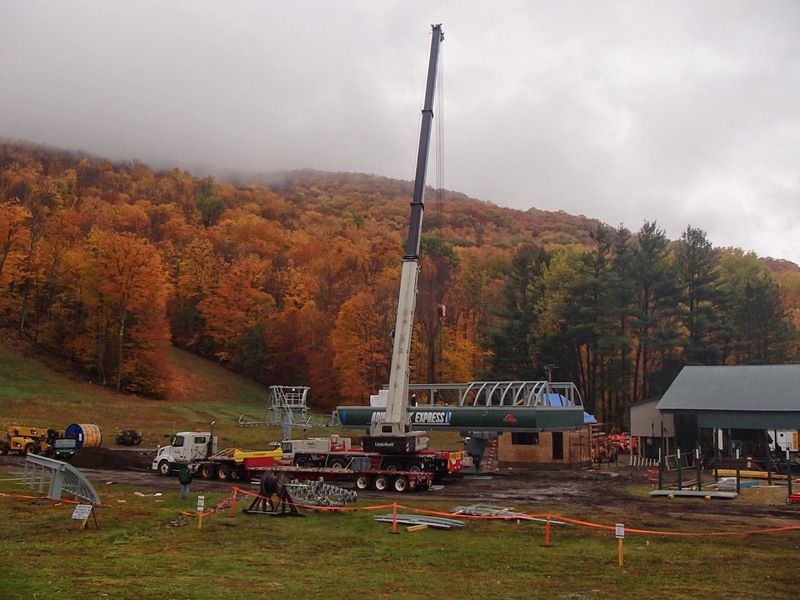 Buoyed by an early start and five consecutive months of colder than average temperatures, attendance at the state-owned Adirondack ski areas increased by more than 7% over last year. 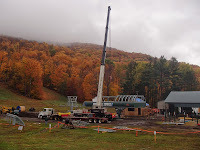 Handily beating the national (down 1.3%) and regional (up 0.6%) trends cited in the National Ski Areas Association's preliminary report of the 2013-14 ski season, those results should bring smiles to the faces of skiers, business owners in North Creek and Lake Placid, and ORDA board members alike. Crane Mountain is one of those hikes that’s on everybody’s list of the best hikes in the Adirondacks. I’ve got at least a half dozen guidebooks that include Crane, but my favorite description of Crane’s trails is in my 25+ year old Discover the Southeastern Adirondacks guidebook by Barbara McMartin, aka “the Rand McNally of the Adirondacks.” McMartin enthusiastically dubs Crane the “Super Mountain” of the southern Adirondacks for its variety of trails and bushwhacks, its alpine pond and its expansive summit views. After a slow start to my mountain biking season, May has turned out to be a pretty good month. I’ve been getting out two or even three times a week all month, mostly on the trails out my back door. 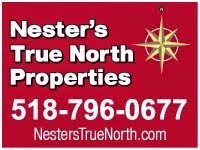 I’ve logged a couple rides on the Luther Forest trails (three actually), but haven’t hit Spier Falls or SMBA yet (that should change this week). Season passes: How about an Adirondack Alliance? Last week, in my post about season passes, I made note of the increasing prevalence of multi-mountain passes and partnerships. 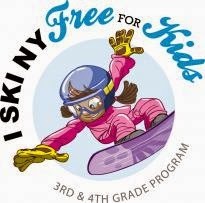 Not only do these pass products deliver significant value to the passholder, they help the ski resorts expand revenue and build skier loyalty. I wondered if there might be an opportunity here in the Adirondacks, but didn’t provide much in the way of specific ideas. Well, here’s what I’d do. 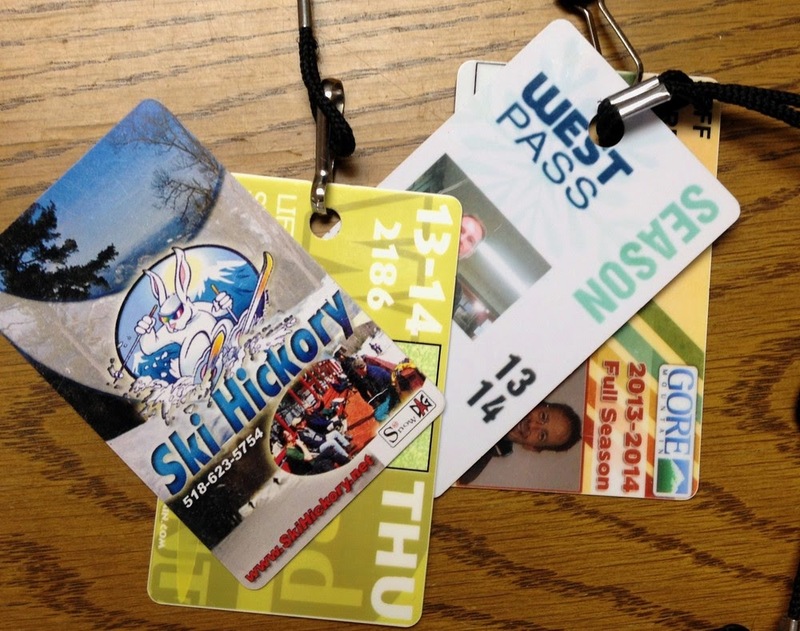 The 2014-15 ski season is more than 6 months away, but now is the time to consider purchasing a season pass if you want to take advantage of early purchase discounts. The decision is easy for our family: we want the flexibility of skiing on holidays and weekends, and we know we’ll ski at least double the number of days it takes to break even on the cost of our passes. 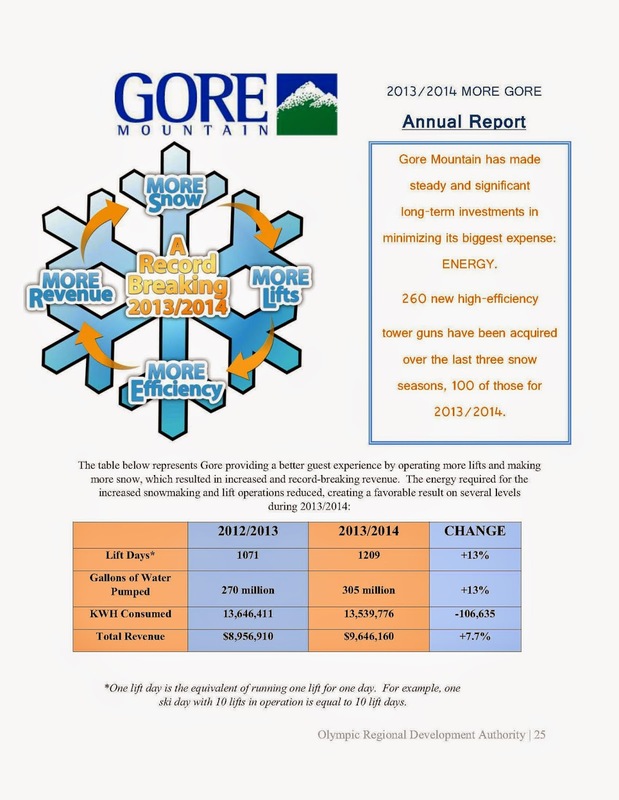 So we’ve already plunked down our cash to take advantage of the best pricing on next winter’s Gore-Whiteface-Belleayre Ski3 passes. Pricey? You bet. But considering the fact that we’ll get enough use out of our passes to drive our per-person per-day cost down to about $20, I consider it a good value. 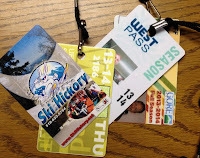 And compared to season pass pricing in Vermont, our Adirondack passes are a bargain. No longer winter, but not yet spring. The mid-winter conditions we’ve enjoyed the last couple weekends almost made it to the weekend, but rain Thursday night and Friday put an end to that. Conditions on Saturday ranged from a wet granular “pre-corn” on the upper mountain to mashed potatoes down below. The mountain remained shrouded in fog and clouds until late morning, but the day stayed dry.